How Do You Keep On Track? I’m currently taking a workshop from Lisa Garr at The Aware Show titled, Reset Your Brain for Success. Part of today’s lesson is to ask other people how they accomplish something that you want to do or get better at. So I thought I’d throw this out to you all. 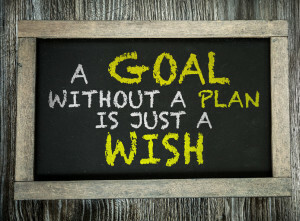 How do you keep on track of your goals or projects? It can be any goal, but my goal is to keep on track or on schedule with my writing. Right now I’m working on Book 2 of my Virago Series, Diablero. The first book, Perdition, is published, and hit a couple of Amazon category best selling lists. There are, however, six books planned for the series, so I need to keep up a good pace to get them all done in a reasonable amount of time. It annoys me more when a series I’m reading is so long between books that I forgot what happened in the previous stories. So I wasn’t to avoid that with the books I’m writing. I know what I’m doing to keep on track, but I’m sure there’s room for improvement. I’ll add my two cents later as we get some answers banked. So please comment on this email (the comment link is under this post’s title above) and let me know what system or tricks you use to keep on track with your goals. I look forward to hearing from you!